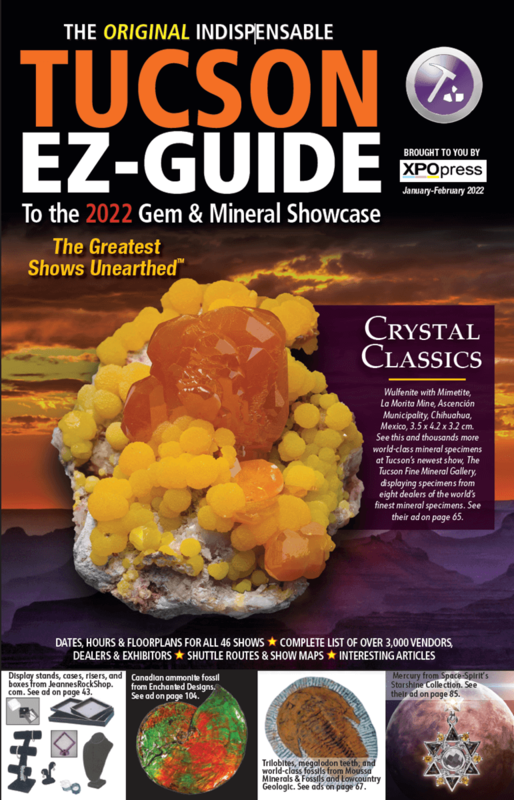 Xpo Press publishes four gem show guides that are distributed during and prior to the Tucson Gem, Mineral & Fossil Showcase in January and February. 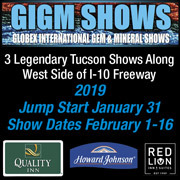 These publications have a combined circulation of 70,000, each promoting in full-color the 40+ shows, the nearly 4,000 vendors, and, of course, the advertisers in each guide. 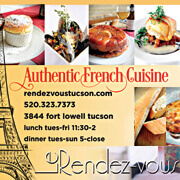 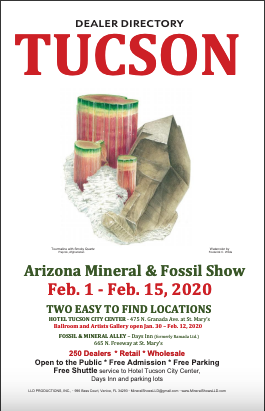 No other publisher distributing their publications, brochures or literature during the annual Tucson Showcase of gems, minerals, fossils and jewelry can boast of this volume of circulation. 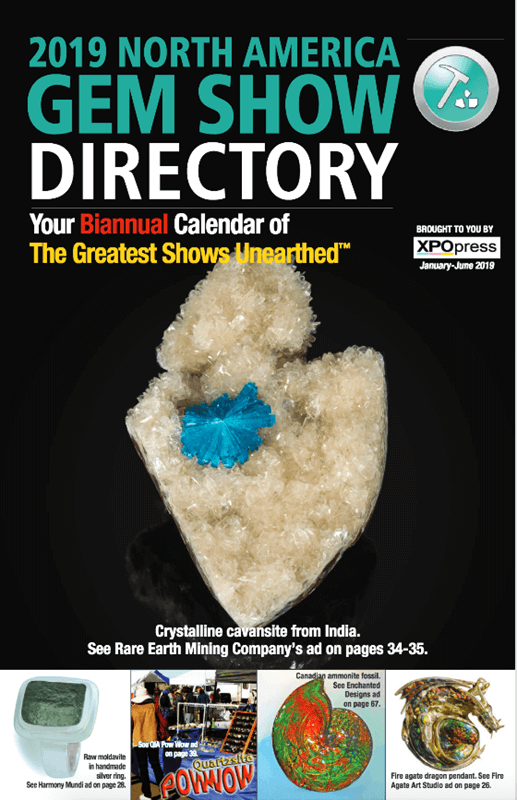 Even better for advertisers, Xpo Press guides are PICKED UP AND READ during their distribution period — we cannot keep enough of them on the racks! 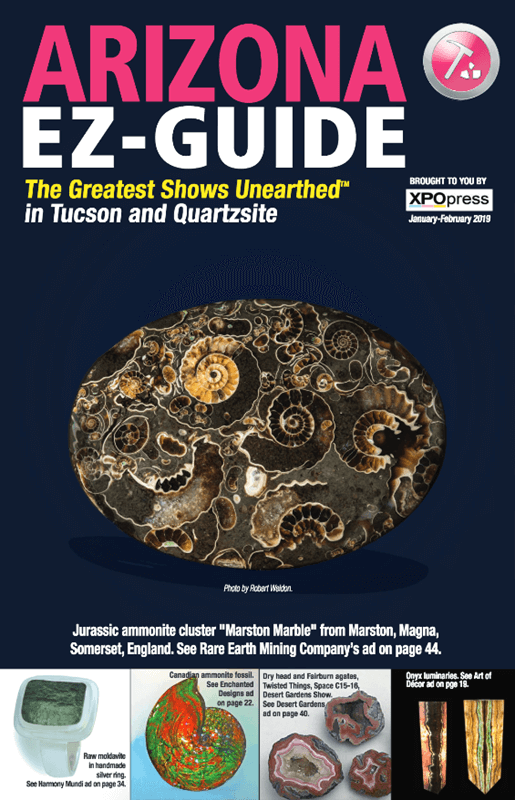 If you're selling your products in Tucson this year, advertising in these Xpo Press guides is your best investment to ensure your success at the gem and mineral world's most important showcase. 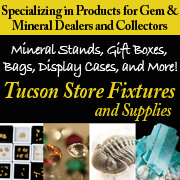 • Mineral & Fossil Marketplace, 1333 N. Oracle Rd.